Chandra Lee July 30, 2013 July 30, 2013 Inspirational, Think about it! Someday has never come. Planning to do something later is exactly the same as not doing it. Putting off joy and fulfillment until later is the same as abandoning that joy and fulfillment. It’s easier to say you’ll do it later, but what that almost always means is that you’ll never get it done. Choose to do it now, or not to do it now, but don’t fool yourself by pretending you’ll do it later. 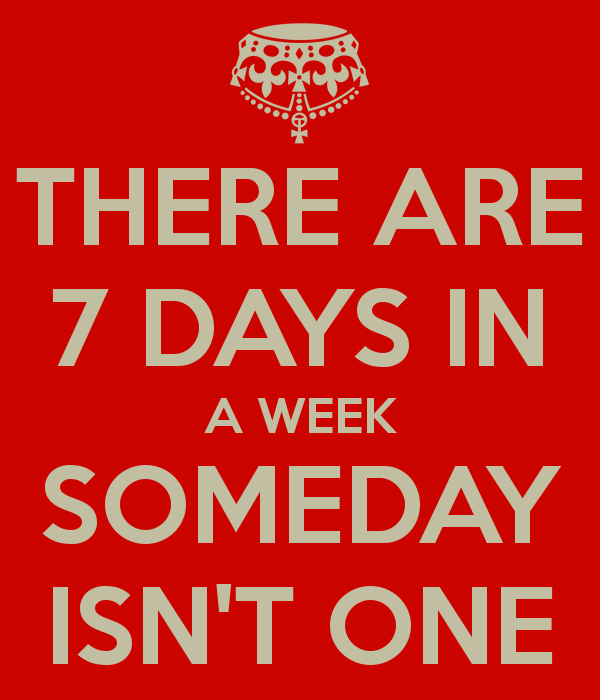 Someday has never come, and never will. Always, the day you have, to act, to speak, to learn, to grow, to love, to experience, is the day you’re in. Start now, not tomorrow or someday or when you get the chance. Start now, and keep going now, and fill each moment with meaningful substance as it comes. Right now is when you can live your life, and change your life, and enjoy the exquisite beauty of existence. This moment is when you can step forward and get good, useful, loving and significant things done. Previous During Tragedies Fake Accounts Now The Norm!